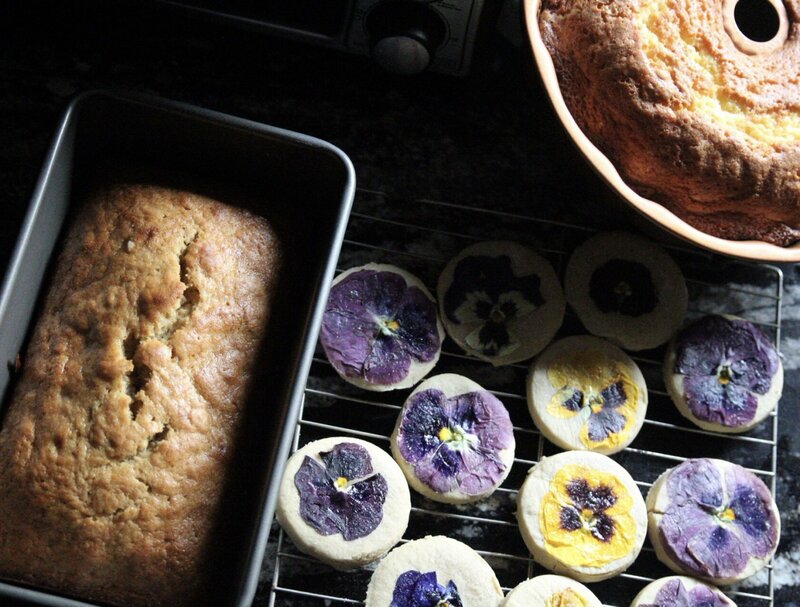 Cooking and Baking can do wonders for your state of mind. I prefer to do it when I’m alone, unbothered. 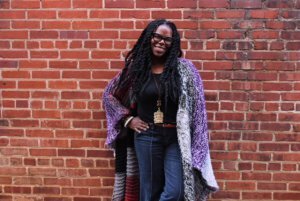 I run through a gamut of emotions and am able to think and talk things through (which is why I prefer to do it alone – I don’t want my train of thoughts to be interrupted).Calmness and satisfaction comes from getting everything prepped, using my mixer, pouring the batter in the pan or rolling out the dough. I’ve realized sometimes when I’m finished baking and the final product has been removed from the baking sheet or dish (and nothing has stuck to it – yay!) I let out a sigh of relief and a slight smile will come spread across my face. I look at baking as another form of crafting and when my craft is complete (and looks amazing) I am a happy person; an accomplished person. If I had to choose two places in my life where I am the most confident in my skills I would have to say cooking/baking and being a mom. Most of the time when I bake, I not even interested in eating the final product; which is beneficial for others (I share!). Last year I was hanging out with a friend and someone joined us and had brought cookies. 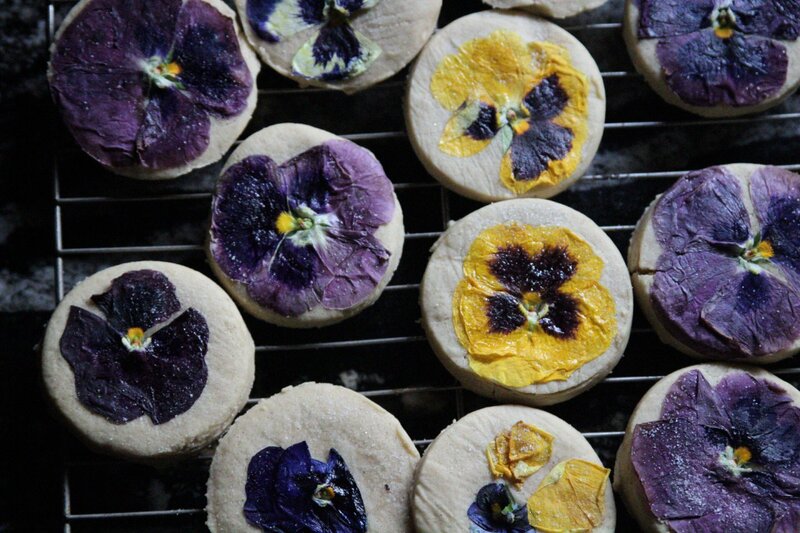 The cookies were topped with edible flowers and I had a bit of freak out moment. 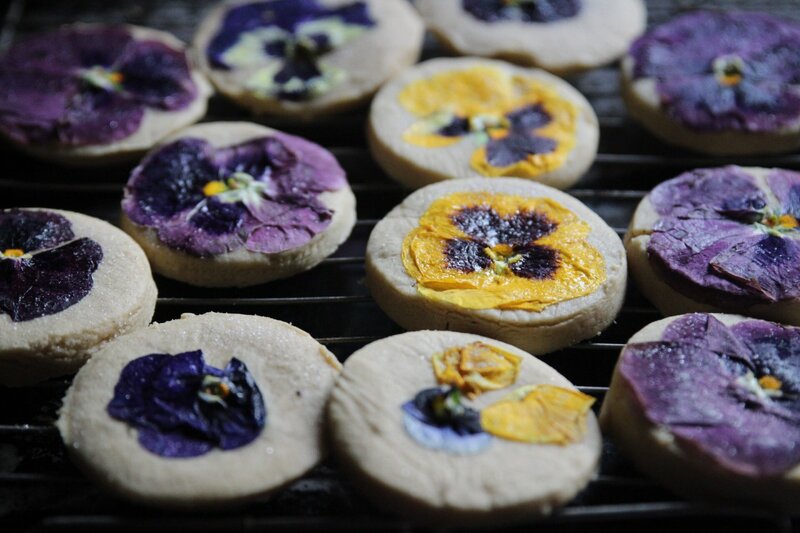 I have seen edible flowers used in salads and cooking dishes but I hadn’t seen them used on cookies. With a quick scroll through instagram, I realized this is a thing and I knew I would have to try my hand at it. 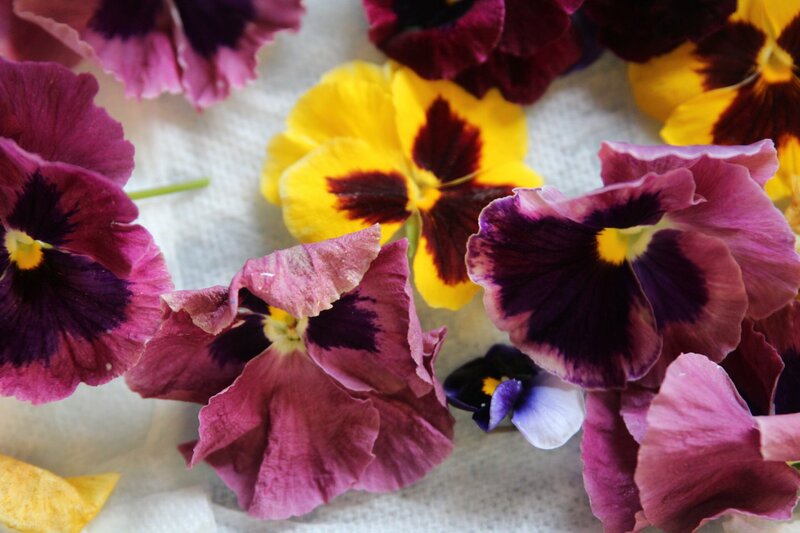 This year, all the flowers I am growing are edible. I did some research to see which ones can be used in cooking and baking and every time I hit up nursery, I would pull out my list to see if I could find any. I found some pansies at Lowe’s that were discounted very low (I think they were 25 cents each ) and snatched up a few and in different colors. I also grabbed some dianthus. I am also growing flowers from seed as that is a safer choice but I do know that Lowe’s is not allowed to use fertilizer on their plants, I make my own fertilizer, and since the plant was half dying, a lot of it is new growth so I wasn’t worried about anything harmful being on the flowers. Plus, I washed them…really well. 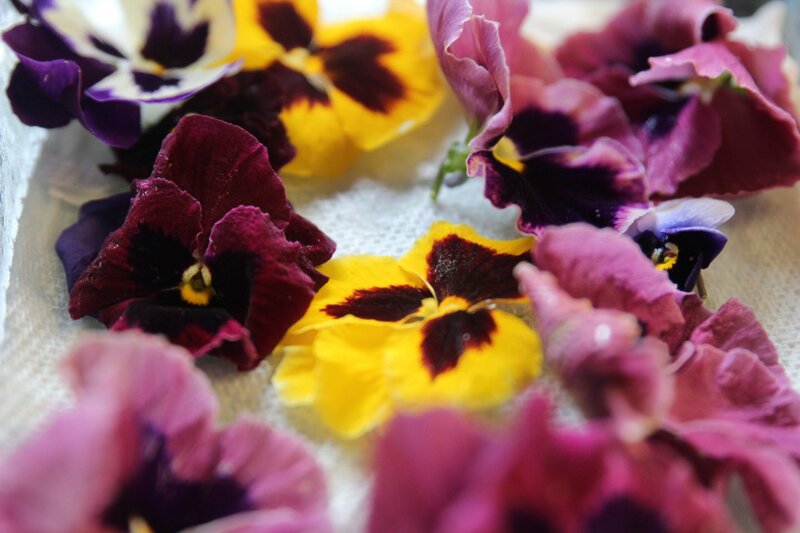 Since this would be my first attempt at baking with flowers I snipped about a dozen flowers, washed them off and laid them out to dry. My plan was to make the cookies a week ago but life happens. I didn’t want the flowers to wilt so I did another search and learned you can preserve flowers for a few days by placing them in a container lined with a damp paper towel and keeping them refrigerated. When I checked them a week later, they were still colorful and pristine. For these cookies I used a modified version from Sally’s Baking Addiction but any recipe will do. Place back in the oven for 7 more minutes. 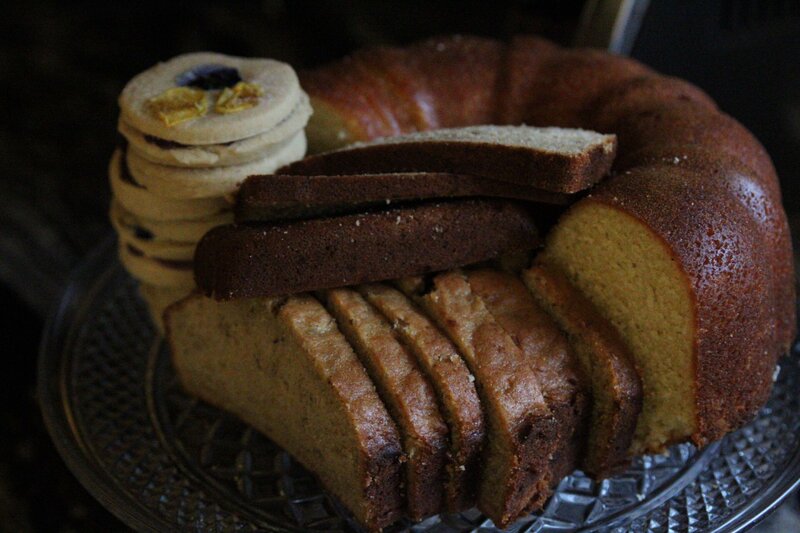 Since I was in a baking mood, I also made banana bread and pound cake. 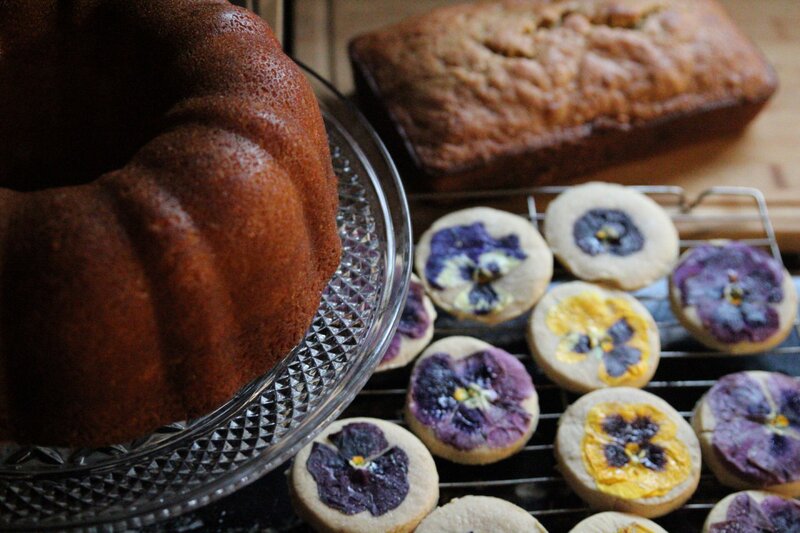 If you follow me on Instagram, you know I love to shoot my food (mainly baked goods) with moody, dramatic lighting. I think it speaks to my personality. Naturally, I am not a light, bright, happy person so it reflects in other parts of my life and one of them is my preferred style of photography.